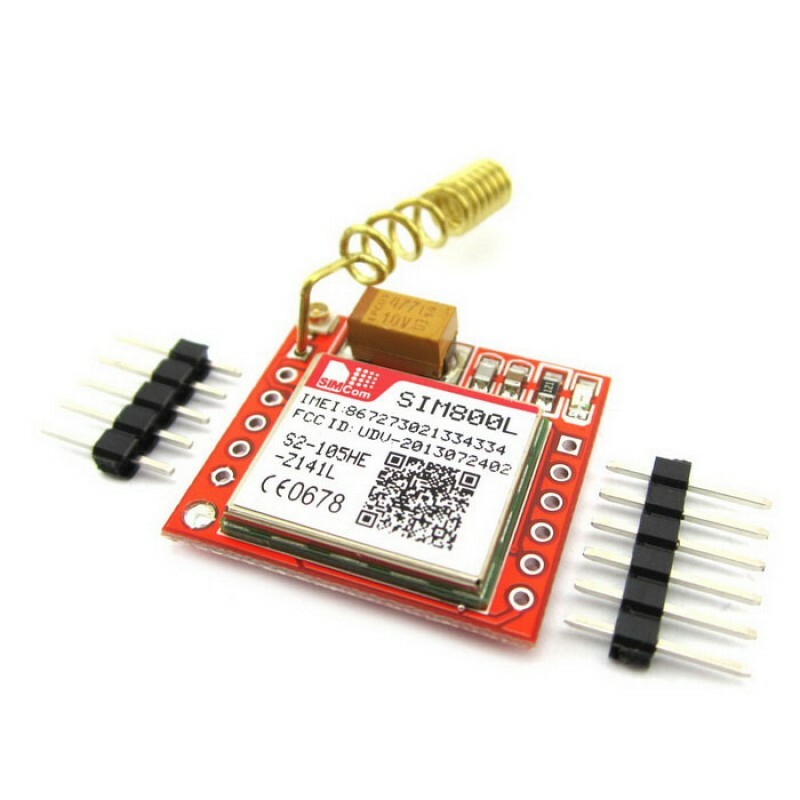 If you are an arduino lover, you may be interested to work with mobile phone connections. I have seen some project which are activate with SMS or voice commands. 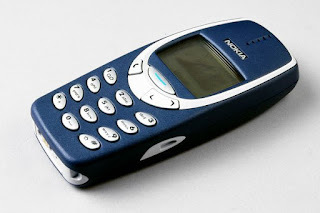 but most of project are used old mobile phones. It is not easy to customize as our requirements. Therefore we can use GPRS module to make our own project as our wish. Most simplified and easiest way for a programmer is arduino platform. 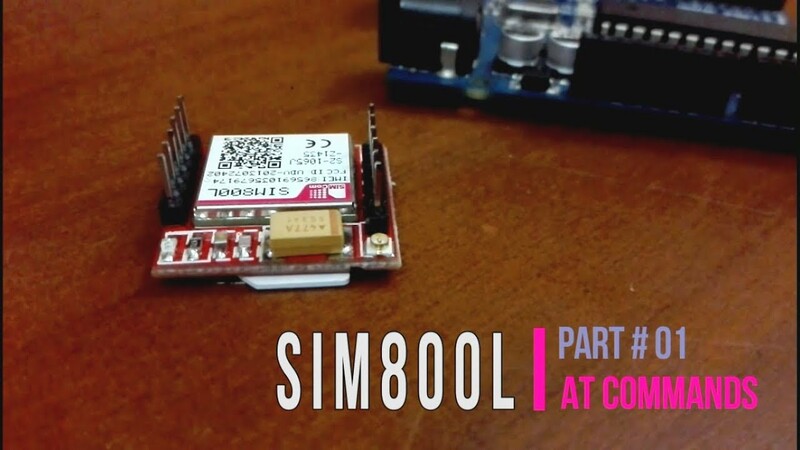 that is why i have used this SIM module with arduino. It is not complicated. But there are more GPRS modules but I am using SIM800L module for this project. Lets see the wiring as the wiring part is the most important part. It may be a cause to burn the device since a single mistake. It should be connected arduino with sim800L module according to the above and connection will be shown as follows. If all the wiring connections are checked and confirmed as correct, go to arduino programme and do the coding. before the coding you must identify the correct direction of the sim card. it is normally printed on the surface of the sim slot. To start coding, RUN arduino software. Now it is ready to check "AT" Commands. Before check AT commands we have to check this module is working. Therefore you can take a phone call dialing the number of the sim using another sim. If you can hear the dialing tone, then your module is ready to work. Now, Type AT in serial monitor and press ENTER, then serial monitor should display as OK. Then you can check with thousands of AT commands and learn how to work with sim800L module. please feel free to put a comment below. Hi, what supply did you use for the sim800l? Did you use an external supply for the gsm? No, I used +5v from arduino uno board through a diode. when the arduino board is is connected to Laptop computer. sir mine doesnt show anything. after I typed AT it doesnt show anything i followed everything correctly but still it doesnt work, does rx should blink? 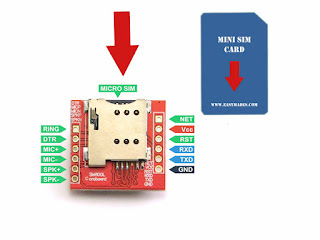 hello sir GSM sim800l does not connect to network,means only blink n/w LED/1s ,so how can connect sim800l to n/w. Did you try with AT commands? I upload this code as it is. But serial monitor does not work. Would you please help me? Yes bro, I got response from SIM800L module. And my serial monitor also working. Now I want to drive 4 relay by sending SMS and also by calling and pressing button (DTMF). can this work for arduino mega ? also my sim800 responds to call (ring moves to 0) but does not ear AT commands. I connected with a 3.3V serial so it should be ok. Any ideas? I have a Problem with de SIM800l Board. AT commands funktion with the Serial Monitor. But i Can`t send any SMS.. I search many days an i don`t find the problem. Dit you have Time to HELP me? Hi, what do 3 red blinks from the SIM800L module mean? Hello. I'm trying to make a project with my Arduino and a SIM800L module (The red one with the spring like antenna). I activated my SIM card, tried it in my smartphone (and it's working) and i made the connections like you told to do. The problem is that i cannot call the SIM card once i put him in the SIM800l. I'm supplying the module with a 4.5V/3A power supply but the red LED blinks 3 times and then stops for 30 seconds and blinks again 3 times. Any ideas of what can be the problem? Even i have the same problem ...any solutions ? Hello. 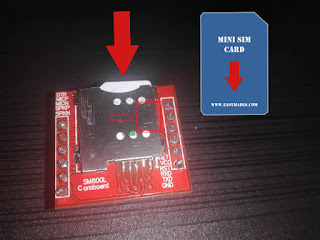 there was such a question, as soon as I connect the sim800l to the arduino, the red light on the sim800l starts to blink 8 times, then it turns off and lights up again and so on all the time. Tell me what to do in this case?